Join us for our celebration of Earth Day! Plant a tree with The Southeast Ohio Sierra Club from 10 a.m.- 12 p.m. Lunch Provided for each session! 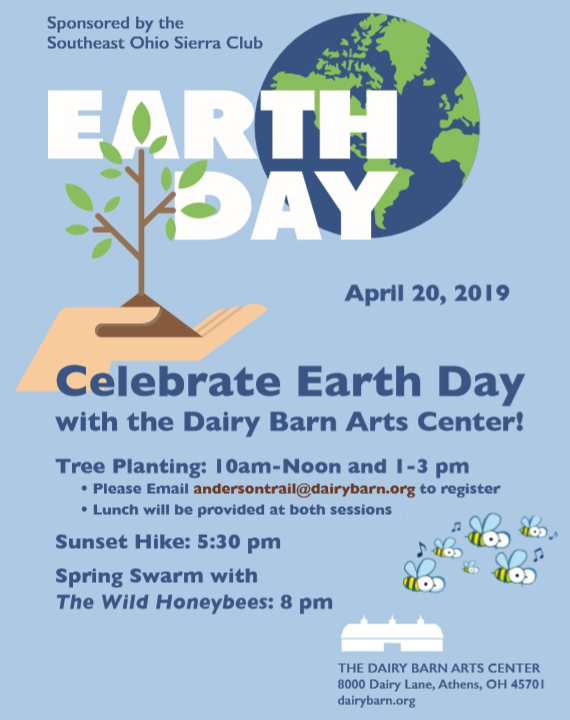 Register at andersontrail@dairybarn.org to plant trees with us! Followed by The Spring Swarm with The Wild Honeybees! Doors open at 7 p.m. Music begins at 8 p.m. $20 at the door! Food by Pork n Pickles, Cash Bar & Dancing!